Outstanding Sillimanian in Women Beyond Borders e-publication. 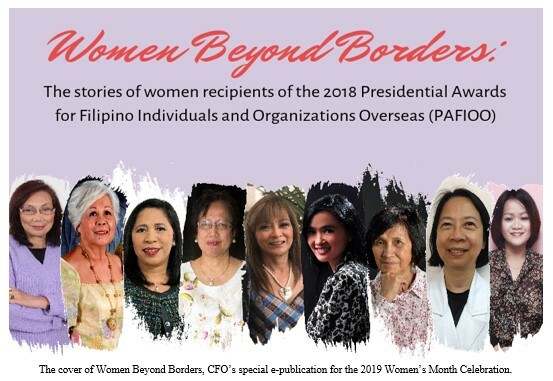 The Commission on Filipinos Overseas (CFO), in commemoration of the 2019 Women’s Month, is featuring a special e-publication entitled Women Beyond Borders: The Women Recipients of the 2018 Presidential Awards for Filipino Individuals and Organizations Overseas (PAFIOO), with Outstanding Sillimanian awardee Engr. Elizabeth Lajato Merto-Engle as one of 9 women recipients whose life stories are highlighted. The Women Beyond Borders e-publication is one of the undertakings of the CFO for the 2019 Women’s Month celebration. This special publication pays tribute to the extraordinary and inspiring women recipients of the 2018 Presidential Awards. Engr. 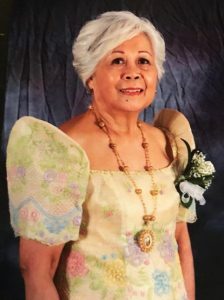 Engle earned her High School in 1958 and her Bachelor of Science in Civil Engineering degree in 1963 at Silliman University. On August 28, 2016, she received the Outstanding Sillimanian Award in the field of Engineering: Project Management. Currently she is president of the Silliman University Alumni Council of North America (SUACONA), an umbrella organization of the chapters representing the alumni and friends of Silliman University residing in the United States and Canada. To access the CFO e-publication Women Beyond Borders, click on the link below: https://www.cfo.gov.ph/images/CFO_NEWS/2019/Women_Beyond_Borders_Final_Version2.pdf.